When I worked at a co-op in the health and body care section, I noticed that every year around November, bottles and bottles of elderberry products would fly off the shelves. Elderberry has earned a reputation as a cold and flu herb, especially for the dreaded influenza, and rightfully so. It packs a powerful punch of anthocyanadins, helps the immune system do this. Studies have shown that it is effective at reducing the length of the flu by half. 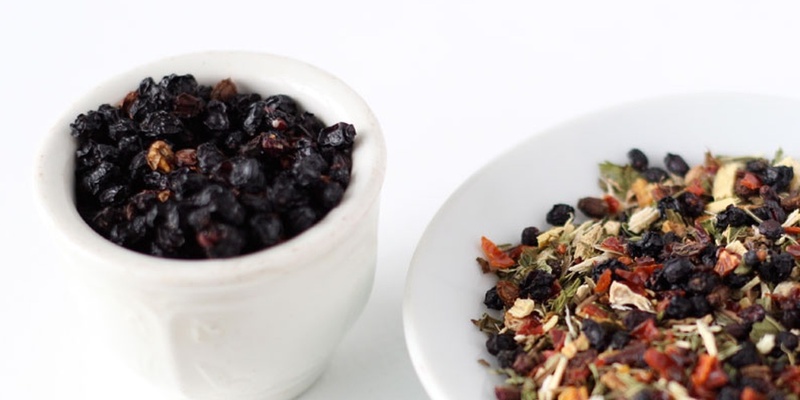 Yet like most herbs, elderberry has depth and can be used in many situations. It’s medicinal attributes are more than just helping with colds and flus. Anthocyanadins have an affinity for the vasculature. It can protect capillaries, inflammation, eye health, and its antioxidants assist in run-of-the-mill repair of cells and neutralize free radicals and reactive oxygen species in the body. The Medicine Woman’s Roots has an indispensable recipe for Elderberry Elixir. After trying this recipe, I have been a huge fan of elixirs. No more syrups for me! But more than just being medicinal, elderberry is yummy. As a berry, it is sweet, as a dark colored berry, its flavor is reminiscence of other wild dark berries like June berries. Elderberries are small and crunchy when dried, and are good additions to trail mixes, hot cereals, fruit soups, baked goods and the like. The fresh berries can of course be used like any other fresh berry, in jams, syrups, preserves. It’s delicious, use it for flavor. It’s more anti-viral than anti-bacterial, if you care about that sort of thing. It can be too sweet and cloying for some people. Don’t overuse sweet, especially if you have the loose stools, bloating, fatigue of Spleen Qi Xu. Many syrups are way too sweet. The last (and only) time I took a syrup of elderberry I got worse because sugar is my enemy. All that anti-viral action of elderberry was compelety discredited by the sugar. However, tinctures and elixirs aren’t appropriate for everyone (babies, for example). Syrup away. I like to combine it was at least one bitter or acrid herb, to moderate it’s sweetness and assist in it’s own digestion. With ginger, for example. On it’s own it just kind of “sits there”. It isn’t as exterior-releasing as elderflower, but I think it can do a little bit of opening the pores. Some people may be sensitive to that. The entire elder plant is medicinal with a rich history. Don’t limit yourself to the berries. 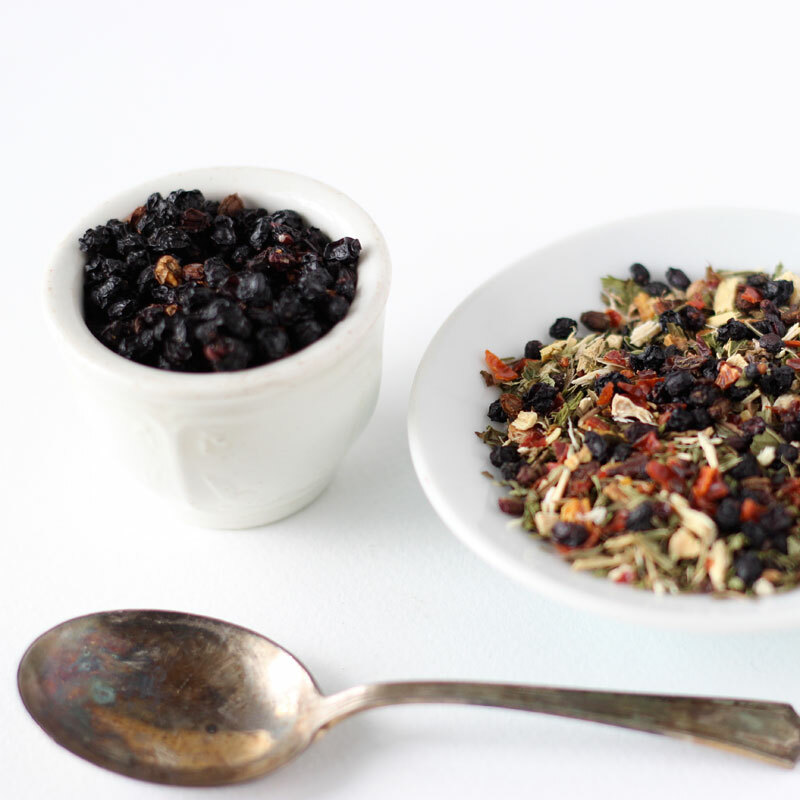 Here are some of my favorite tea blends featuring elderberry. 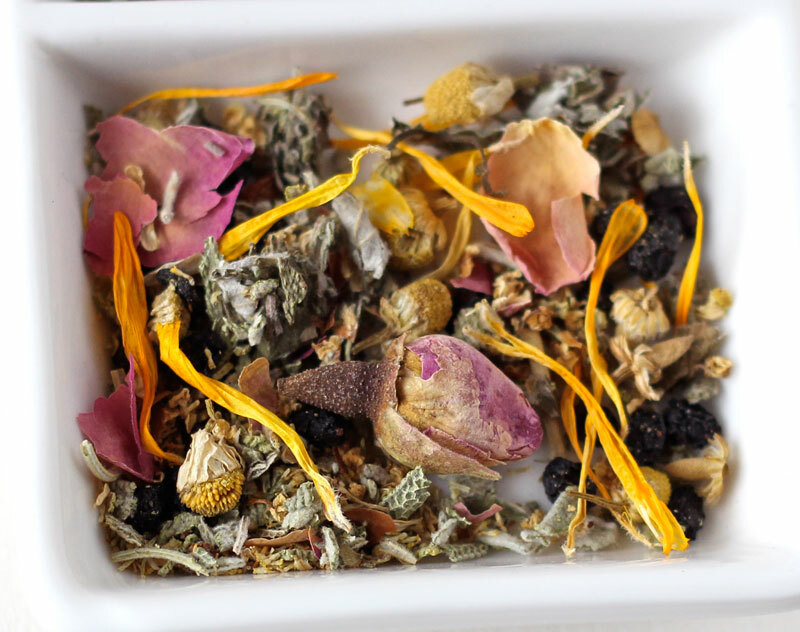 Play around with your own formulations and your see how effortlessly the berries blend with spices, roots, aromatic flowers and nutritive leaves alike. The Well Child tea sounds amazing. Thanks for this, I’ve learned so much! Thanks! It is one of my favs. 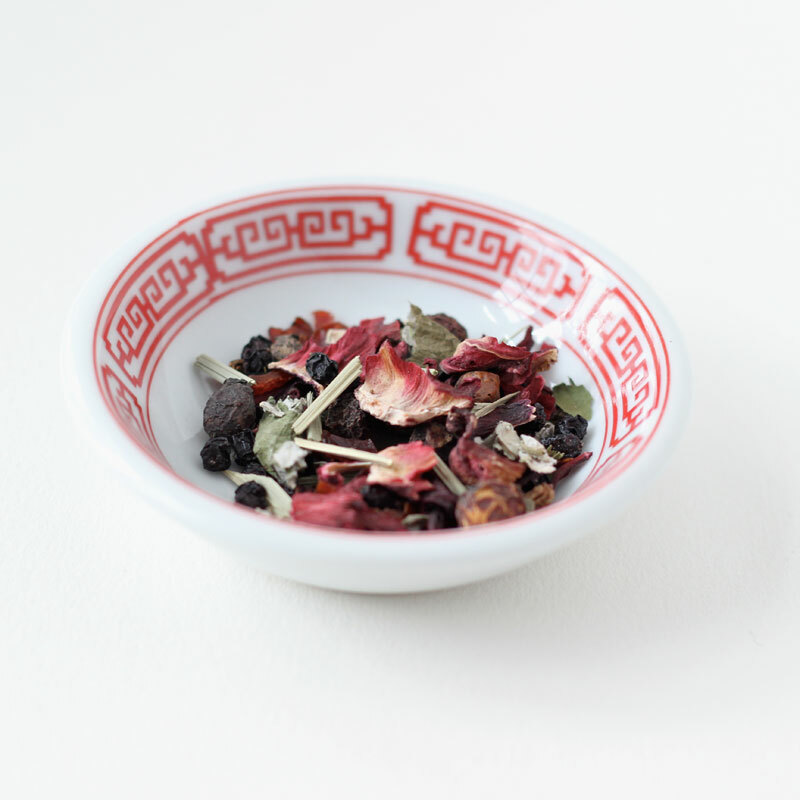 I call it simply Elderberry Echinacea Tea in the shop.